Nashville, TN -- Nashville rock and soul pioneer Buzz Cason will share stories and songs as the next subject of the acclaimed Poets and Prophets series at the Country Music Hall of Fame® and Museum on Saturday, July 5, at 1:30 p.m. The in-depth interview and performance dovetails perfectly with the 10th anniversary of the museum’s Grammy-winning two-disc compilation Night Train to Nashville: Music City Rhythm and Blues, 1945-1970, a set cataloging Nashville’s rich and too frequently overlooked R&B scene, and the exhibit it accompanied. 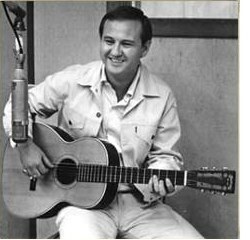 Robert Knight’s iconic “Everlasting Love,” which Cason co-wrote and co-produced, is the album’s luminous closer. More Night Train-related events will be announced later this month. Nashville, TN -- Nashville Songwriters Hall of Fame member Kye Fleming will take a seat at the Country Music Hall of Fame® and Museum on Saturday, July 28, as the latest subject of the quarterly programming series Poets and Prophets: Legendary Country Songwriters. The 1:30 p.m. in-depth interview and performance, held in the museum’s Ford Theater, is included with museum admission and free to museum members. The program will be streamed live at www.CountryMusicHallOfFame.org. Nashville, TN -- Nashville Songwriters Hall of Fame member Mark D. Sanders will take a seat at the Country Music Hall of Fame® and Museum on Saturday, May 26, as the latest subject of the quarterly programming series Poets and Prophets: Legendary Country Songwriters. The 1:30 p.m. in-depth interview and performance, held in the museum's Ford Theater, is included with museum admission and free to museum members. The program will be streamed live at www.CountryMusicHallOfFame.org. 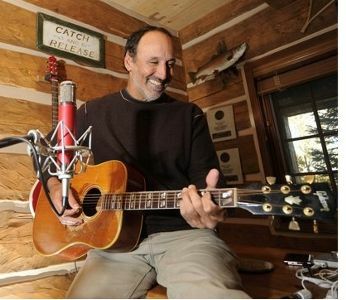 Nashville, TN -- Nashville Songwriters Hall of Fame member Jerry Foster will take a seat at the Country Music Hall of Fame and Museum on Saturday, September 10, as the latest subject of the quarterly series Poets and Prophets: Legendary Country Songwriters. The 1:30 p.m. in-depth interview and performance, held in the Museum's Ford Theater, is included with Museum admission and free to Museum members. The program will be streamed live at www.CountryMusicHallOfFame.org.